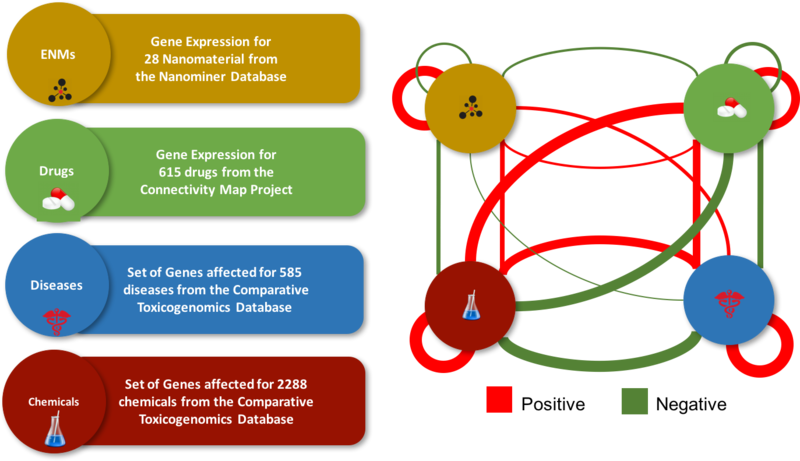 For each node in the network, information regarding their effects on the genes is collected. Weights of the edges in the network are correlated to the similarity of these effects between each couple of nodes. More information and usage tutorials are available on the help pages.